This is not Olive Garden. 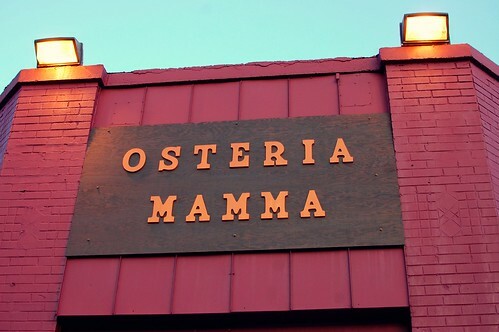 This is Osteria Mamma. This is good. Because it was so long ago, I will simply say that I enjoyed this entire meal. I feel like Starchy Marie and I went to an Italian grandma's house and had a wonderful time. I definitely have fond memories of this night! 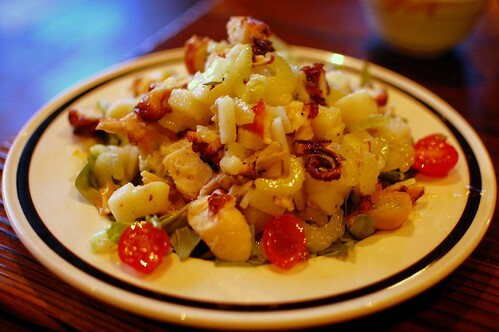 Polipolata -- grilled octopus, fresh celery, lemon, extra virgin olive oil, potatoes ($9.25). 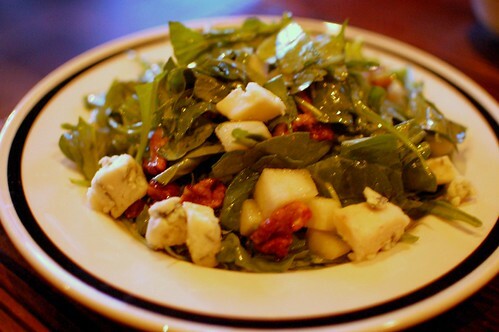 Gorgonzola salad -- baby wild arugula, caramelized walnuts, brown pear, imported Gorgonzola ($8.95). 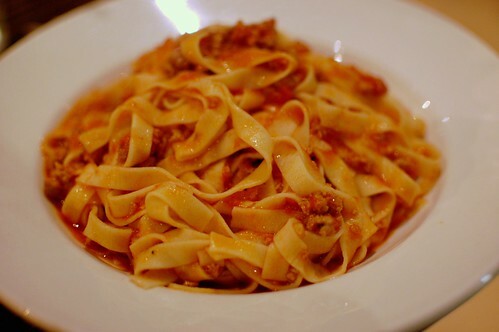 Tagliatelle bolognese -- veal, pork, sausage, tomato sauce ($15.25). 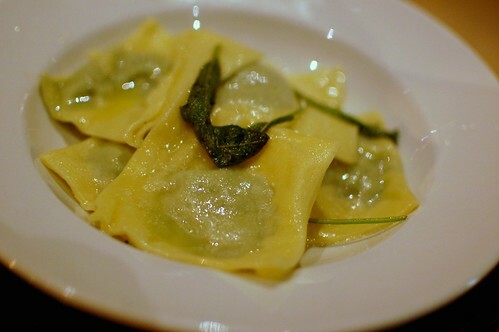 Ravioli burro e salvia -- spinach and ricotta cheese ravioli in butter and sage ($13.95). 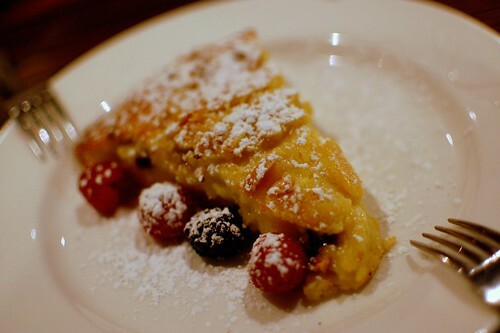 Torta della nonna -- custard cream tart ($7.50). For a more detailed (and far more immediate) reaction to the food, go read Starchy Marie! 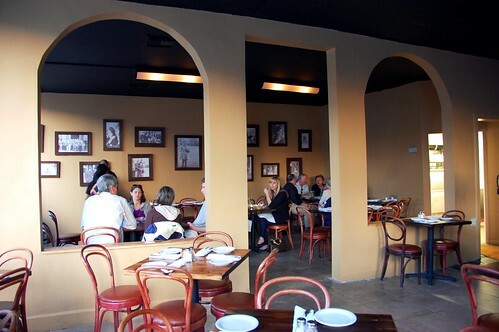 My favorite Italian restaurants always make me feel like I'm in someone's home. 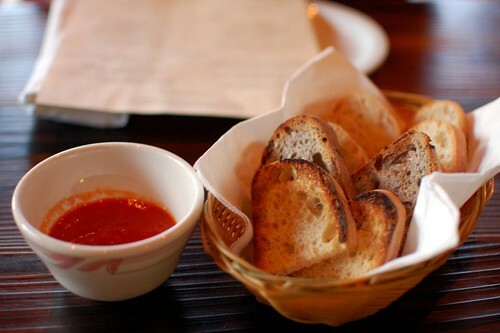 Love Osteria Mamma! Been craving that squid ink pasta with bottarga. Must go back soon! I feel like I drove by there recently, but I have no idea why that would be the case. That was a great story I just told. This explains the unusual number of visits I got out of nowhere! Ha. I've been meaning to go back! Looks like a delicious meal to me too! I love Italian food! oh, that bolognese! that pasta looks so damn good. what can i say, my tastes are simple. No BBE, but they are on restaurant.com though they kinda charge way more than other restaurants, so gotta wait for the 80% off sale!